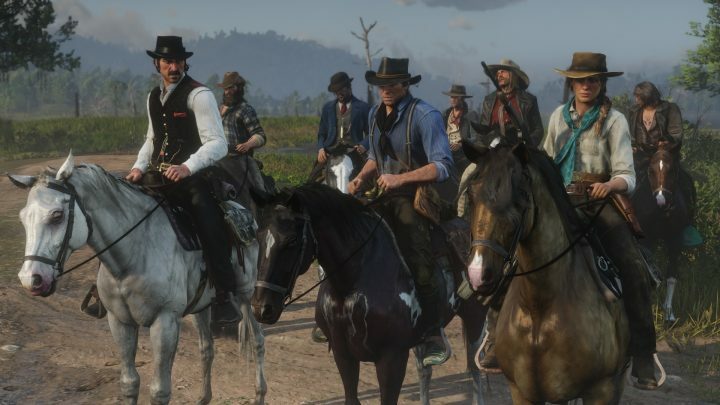 Money is hard to come by in Red Dead Redemption 2. You’ll have to scrounge for every spare cent, but there’s a way to collect a vast amount of gold and start buying up those early upgrades. There are two treasure hunts you can complete in Chapter 2 that give you a huge gold reward — up to $3,500. That’s a huge, huge amount of money. When I was in Chapter 2, I barely scrounged up $500 after hours of work. Even Legendary Animals give chump change compared to this payout. To get the rewards, you’ll need to complete two treasure hunts. The first treasure hunt, the “Poisonous Trail”, forces you to track down three hidden maps before you’ll get a huge treasure payout. Another treasure is found in a hidden cave with a very strange, complicated little puzzle. Learn the location, and how to solve it, with the quick guide below. You’ll be rolling in cash in no time flat. To get a ton of cash ($3,000-$3,500) or so, you just need to complete two simple optional quests. You’ll need to complete the Poisonous Trail treasure map, and solve a strange puzzle with statues. For completing these hidden mini-quests, you’ll find four gold bars, and three gold bars respectively. Each gold bar sells for $500, so you’ll be rolling in cash fast. 1st Map: To begin the “Poisonous Trail” treasure hunt, find the first map under the bed in Cairn Lake Lodge. 2nd Map: Go to the Lemoyne Region and find Face Rock east of the “R” in “Scarlett” on your map. The map is in a hollow tree trunk. 3rd Map: Travel to Serpent Mound, west of Van Horn. The map is in the pile of stones. Treasure Location: Go to New Hanover and travel to the Elysian Pool watering hole in the north. There’s a secret cave behind the waterfall with four gold bars. Cave Location: Go to the “Mystery Hill House” location. This is northeast of Bacchus Bridge, east of Donner Falls. Nearby, there’s a secret cave with statues inside. Inside the cave, look at the statues. Sketch the statue in the center, and count the number of fingers on each hand. Clue Location: To solve the puzzle, travel west on the train tracks to Widow Rock. Go to where Granite Pass and Whinyard Straight cross. Find a dangerous cliff with strange symbols on the side. Sketch them — they’ll give you a clue to solve the puzzle. Push the button on the statues with prime numbers only. Count the fingers — only press the buttons on statues with 2, 3, 5, and 7 fingers. The statue with a missing arm has 7 fingers. Press the correct buttons, and three gold bars can be collected from the center statue.